As an athlete, there are numerous variables being thrown into situations. It is incredibly hard to stay focused on the present moment because of these variables. So many athletes are prized for their ability to see a play before it happens. I’ll ask though … how many plays have been not executed properly due to this? I almost missed a wide open net in my hockey game this past Sunday evening because I was so focused on a celebration that hadn’t even begun. An elite athlete does a phenomenal job of balancing the past failures and successes with the future failures and successes by being stable in the Now. A great way to bring ourselves back to this is through the breath. In life, and in sports, we can become overwhelmed by our failures. They can drive us to stop moving forward. They can cause self-doubt and may even keep us from trying. Come back to the breath. Full and deep in … and full and relaxed out. It is simple and brings us back from the depths of our own mind. To perform at a champion’s level, breathe deeply and rhythmically to maintain peak energy levels. Proper breathing works in tandem with being a Now-ist (i.e., living fully in the moment). 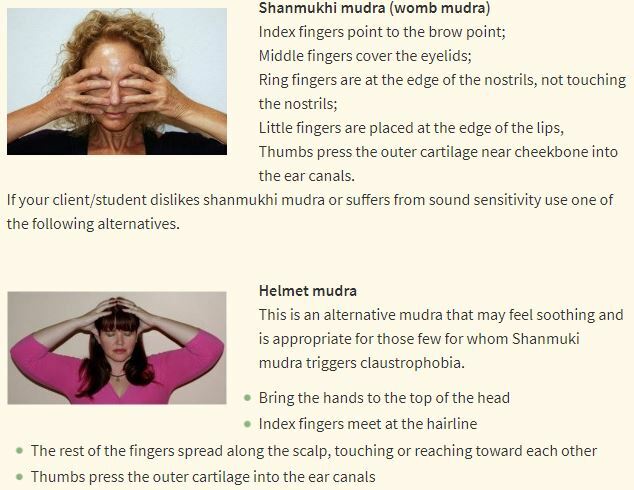 Expand the belly during inhalation and relax the belly during exhalation. Let your shoulders drop and jaw relax as you exhale. Give it a try right now. Draw in a deep breath and let it out slowly. Proper breathing helps expel the stress and tension from your system and brings you back into the present. 1. Breathe in through the nose for a count of one, two, three, four and five. 2. Hold for one and two. 3. Breathe out through the mouth for a count of one, two, three, four, five, six, seven and eight. Extraneous thoughts fog up your focus. Your mind becomes more powerful as it becomes quieter and clearer. So breathe deeply and mindfully throughout your day. Also, when you are not thinking about the future, it’s difficult to fear it. Fear is the enemy of effective action! With a new month comes a new sequence! As we used a substantial warm-up, Sun Salutation A, a modified Sun B and some strong Mountain 2 flows, we for partner bow. The whole class tonight centered around opening through the thoracic vertebrae to allow the lungs to expand. I wanted everyone to breath deeper and fuller than they had in a long time. I wanted us to find neutral. We introduced Alternate-Nostril breathing for the first time tonight and the class rocked it :). Here is a link to more information and a YouTube video for your viewing pleasure. “Breathing,” says Yoga physiologist David Coulter, Ph.D, “is one of the most remarkable functions of anatomy and physiology. 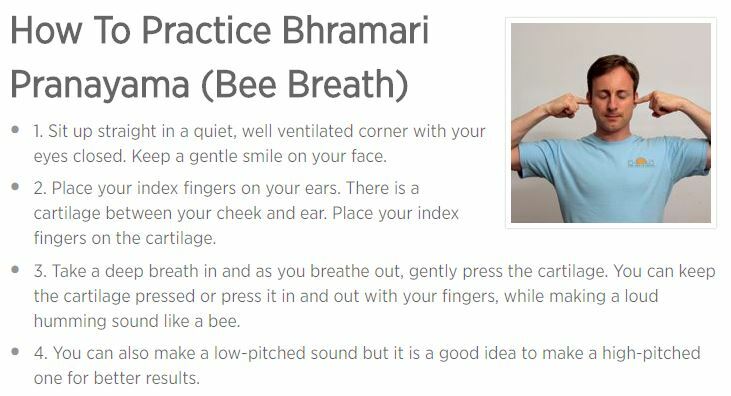 It is the only biological activity which can be brought under full conscious control and yet functions semiautomatically twenty-four hours a day.” If you do nothing else but commit to learning pranayama breathing, you will bring not only your breath under conscious control, but also your emotions. This doesn’t mean you will repress your feelings, but rather you will begin to witness and more able manage them. Learn to be very watchful, and to refuse to give in to the self-judgments. Learn how to take care of yourself by increasing your prana by getting outdoors, taking long walks, and riding your bike. Find your breath. Find your space. “I’ve found that rhythmic deep breathing, and especially Alternate-Nostril breathing (Nadi Sodhana), can be very nurturing, and even allow me to be ‘outside’ of the depression for a time.” My breath can neutralize the energy. Last week we focused on Breath Awareness in our Performance Yoga class. I asked my yogis to observe their breath with certain questions in mind. Last night’s class moved into Breath Placement. Now that we’re aware, where does the body need the oxygen that was gathered? Benefits have been shown in warming up, performance and recovery from the increased VO2 max from pranayama techniques. Our focus and meditation can be seen read below. Let’s notice the physical motion of the breath in the body. What is the pattern of the motion of the body as it fills and empties? Where does the breath go from there? And where does each inhalation end? As you being your inhalation, your diaphragm lowers into the belly, creating negative air pressure and drawing in the inhalation. As the diaphragm moves down your belly expands beneath the lower hand. Notice how this feels. During the middle of the inhalation, the air fills the lungs and the ribs expand through four motions, making room for the breath. They move out away from the spine, they move upward, they spread away from each other, and they rotate slightly on their axes, swiveling like miniblinds. You may notice some of these motions and not others; the action is subtle. You’ll be expanding into the space between your upper and lower hand. As you finish the inhalation, your collarbone will lift as the upper chest fills and the upperback expands. If you’re wearing a heartrate monitor, you’ll feel it tighten during this third stage of the inhalation. Continue breathing in until you feel very full, expanded from the inside out. As you begin to exhale, reverse the pattern. First sink down in the upper chest, then release the ribs to their starting position, finally relaxing the belly back in toward the spine. When you can feel the energy of an action, you can work with it instead of against it.